It sometimes feels like being a conservationist is like being a punching bag, blow after blow of bad news after bad news hits us day after day. 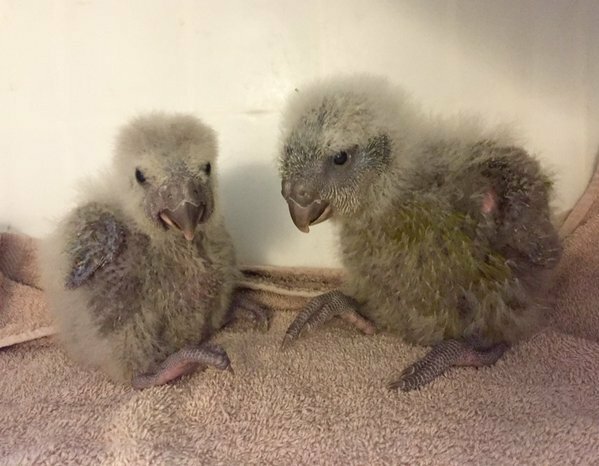 So let’s celebrate some good news today; Kakapo are having one of their best ever breeding seasons since European settlement. Kakapo are strange birds. The world’s largest parrot is also a flightless inhabitant of the night, because of course it is. Endemic to New Zealand, it has been declining since humans arrived but crashed after the arrival of Europeans and the species Europeans introduced. It came perilously close to extinction and has been the subject of intensive management on a handful of islands for decades. Kakapo are a lot of things, and in particular they are sulkily disinclined to breed. They don’t form pair bonds but instead have a lekking system where the males boom like they think they are bitterns. And they don’t do it often. They only breed when rimu, a native conifer, masts, and that only happens ever 2-5 years. Since 1995 numbers have climbed from the mid-60s to 126 this year – and anyone can see that isn’t very fast. This year was a good year for the species. 47 chicks were hatched, of which at the time of writing 37 chicks are still alive. This monumental achievement was down to the Kakapo, but also an army of dedicated volunteers and Department of Conservation employees who have braved terrible weather (including floods) and long days and nights to actively monitor every nest and act every time a chick was at risk. Some chicks are being hand reared, some reared by their mothers. There is still a way to go, but slowly, oh so slowly, the tide is turning. 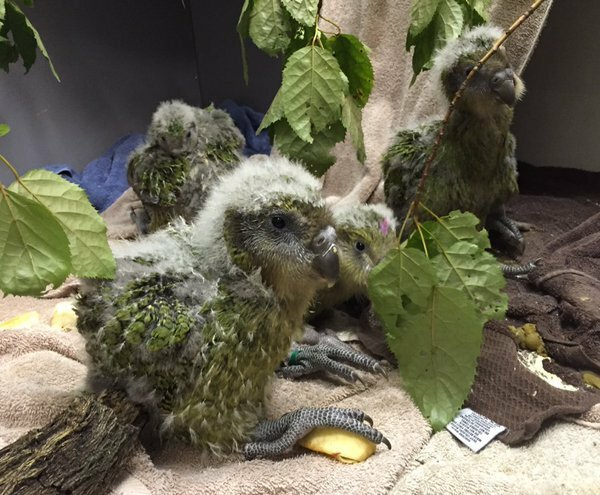 Kakapo chicks are kept together when being hand reared to avoid imprinting on people. Images belong to and are used with permission of Dr Andrew Digby of the Kakapo Project. If you are on Twitter I strongly suggest you follow his account for day to day updates. If Facebook is more your thing you can follow the project there too. And thanks to everyone working on this project. Go Kakapos !! Go NZ !! Go DOC !! The punching bag strikes back! What a fantastic story, I wish you and the Kakaposs great success!! Where Are You Birding This Second Weekend of December 2010?